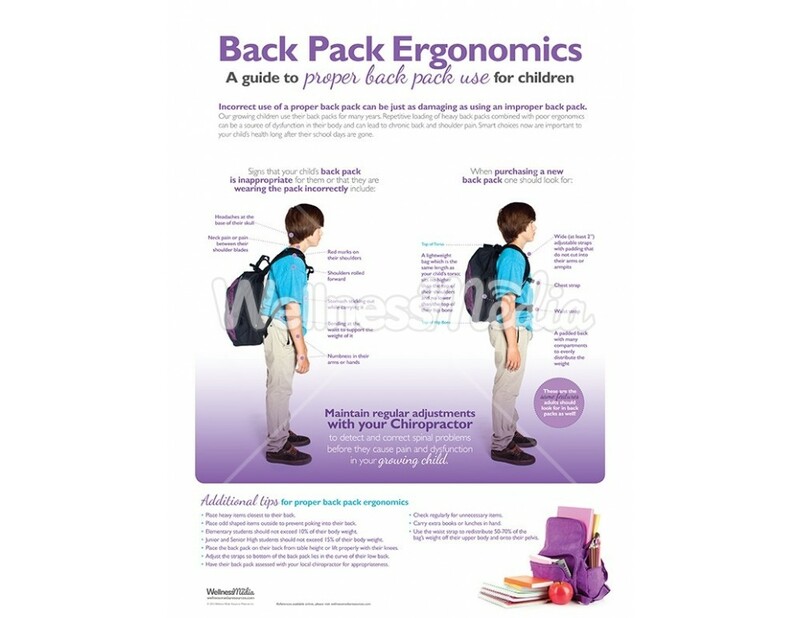 This chiropractic poster focuses on proper vs. improper back pack ergonomics, demonstrating proper usage and providing informative tips for parents and children in your practice to use this school year. 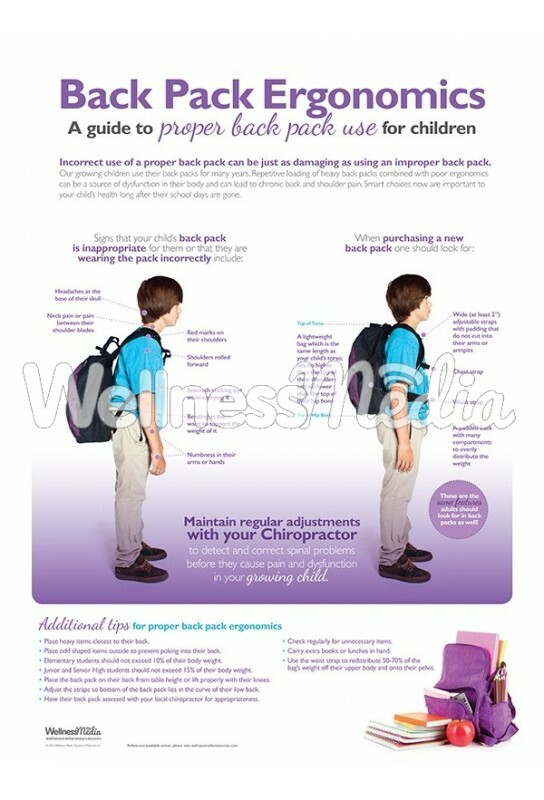 This poster is also now available in a handout version; see it here. 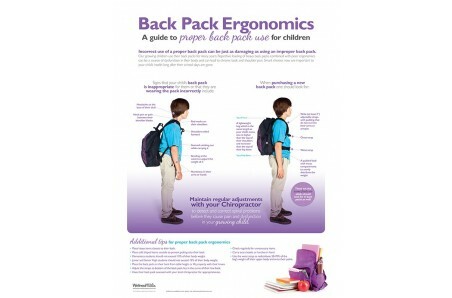 Topics discussed in this poster include: signs of inappropriate back pack wearing, things to look for when purchasing a new back pack and additional tips for proper back pack ergonomics.